Headaches, jaw pain, & ear aches resolved once and for all. Do you experience constant headaches and jaw pain? Are you suffering from lockjaw or chronic earaches? TMJ may be the cause. Between 5-12% of the population is estimated to suffer from these symptoms as a result of TMJ (temporomandibular joint) disorder. Left untreated, these symptoms will likely continue or worsen over time. 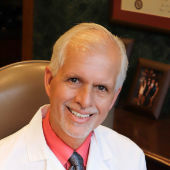 My name is Dr. Alexander Grabavoy and I have been in practice for 30 years as a Doctor of Dental Surgery (DDS) focusing on TMJ diagnosis and treatment. Over that time, I have treated thousands of TMJ patients with a 99% success rate. At the TMJ & Facial Pain Treatment Center, I have created a unique TMJ treatment approach that allows us to significantly reduce your pain and symptoms with non-surgical treatment and no disruption to your daily routine. TMJ Disease can be determined by a diagnostic exam followed by a complimentary 60-minute consultation at our Shorewood, IL office, where we will discuss your treatment plan and gladly answer any questions you may have. After visiting our office, patients will feel relieved that we take time to listen to their experiences, validate their symptoms, and most importantly provide a lasting solution for their pain. Call (815) 730-0909 to schedule your consultation, or email us at info@tmjfacialpaintreatment.com to receive a call back. We look forward to hearing from you!